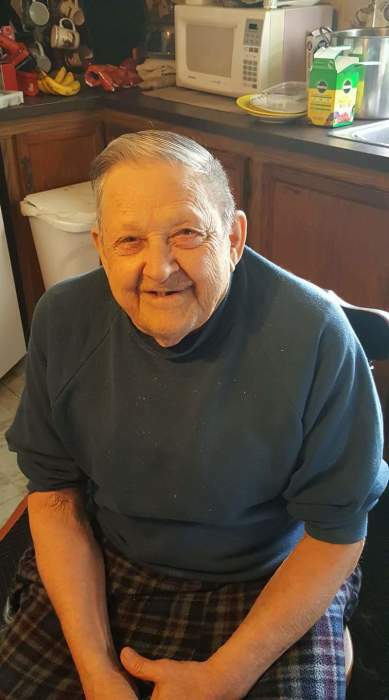 Dennis Ellsworth Eighmey was born on December 15, 1936 and passed away at home peacefully in his sleep on May 13, 2018 with his sons Shawn and Scotty present. He was a very hard worker and loved by many. While he will be dearly missed by those whose lives he touched; he will be remembered for the life that he lived and the love he gave. Dennis truly enjoyed fishing, the outdoors, campfires and good times. Dennis is survived by his son, Shawn Eighmey and his wife Crystal, their children Isiah, Rayden and Seryna, and Shawn’s daughter Katelyn. Son, Scott and his son Scotty. Son, Keith and daughter, Louise. Dennis had 3 very important women throughout his life Nancy Eighmey, Marion Campbell and Dawn McFarland. These women also had children that were a part of his life. Joey Miller, Tommy Miller, Lillian Miller from Marion Campbell. Cindy Arnott and her partner Floyd Elston, Tammy Rhea, Candy Rose and her partner Pat Heath from Dawn McFarland. He has several grandchildren and great grandchildren. Dennis is predeceased by Nancy Eighmey, Marion Campbell and Dawn McFarland. A very special thanks to his adopted son Christopher Lennon Sr., Aylin Tuna, Christopher Lennon Jr, Donald VanDemark his wife Erin VanDemark and their children Seth VanDemark, Ethan VanDemark, Aiden VanDemark and Christian VanDemark, Rosella Zink and her children and to Richie Budd his barber. Visiting will be held on Wednesday, May 16th from 3-7pm at Humiston Funeral Home, 30 42nd St., Kerhonkson.